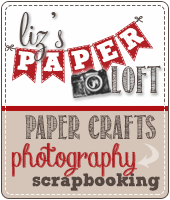 Liz's Paper Loft: PKC 14-03 Sketch Challenge and Curtain Call Challege ~ Wake Up And Smell The Coffee! 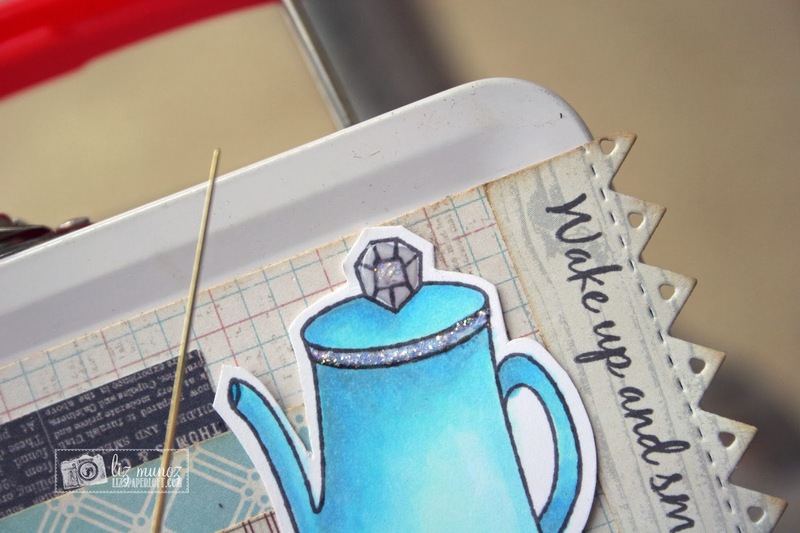 PKC 14-03 Sketch Challenge and Curtain Call Challege ~ Wake Up And Smell The Coffee! 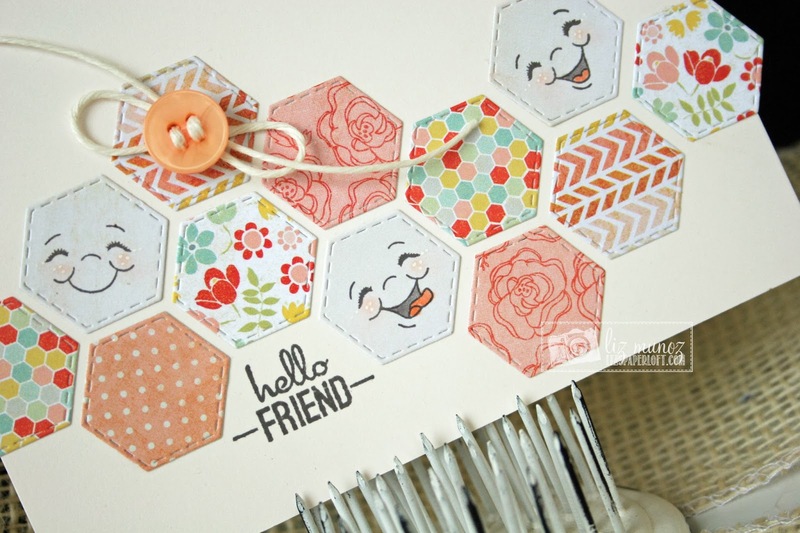 It's sketch challenge time over at Peachy Keen Stamps! I love using sketches, for challenges or just when I have creative block. 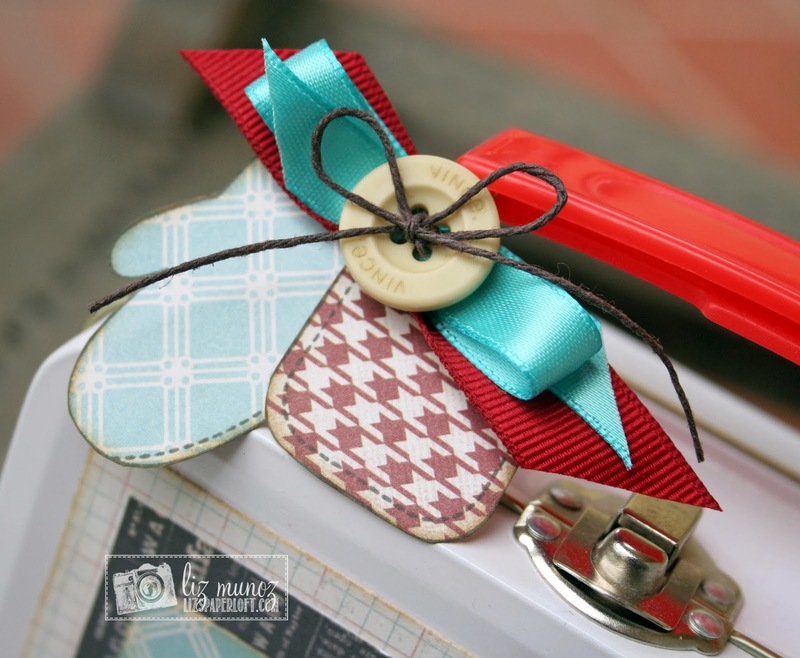 By using different papers or just turning it like I did, the same sketch can be used over again and not get old! OMG I totally LOVE this!!!!! 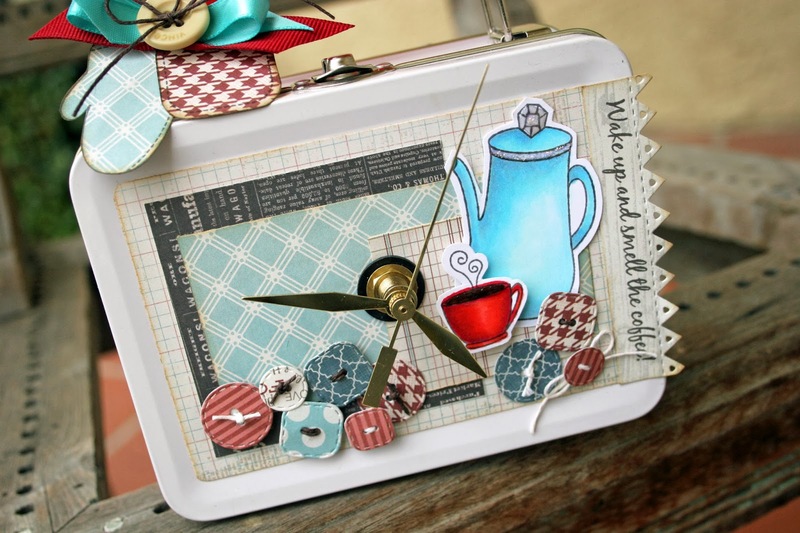 I love your lunchbox clock! Liz ~ this is ADORBLE! LOVE the inspiration picture and you capture d everything PERFECTLY as always!! WOW!!! This clock is AMAZING!!! How fun and cute!!! Love your card too! Super fun! Oh, my... both are fabulous. 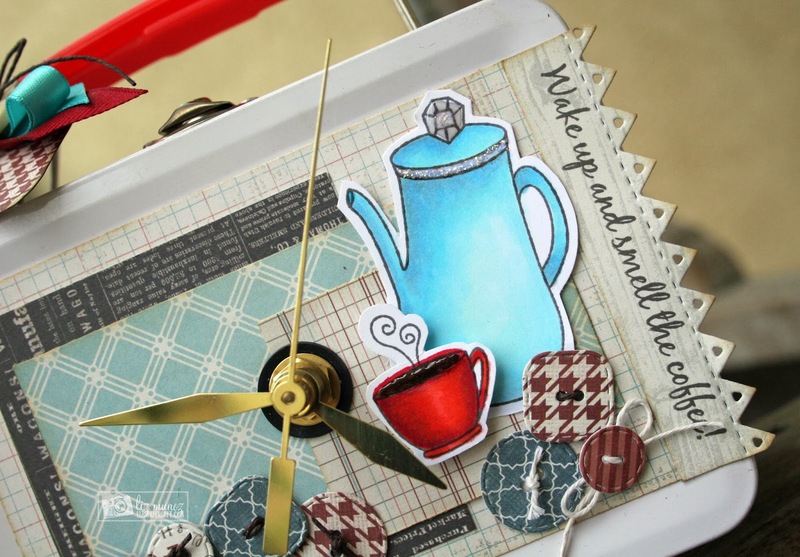 The lunchbox clock looks awesome with those teacups and the colors look great... the card is so sweet. Those smiling faces can cheer anyone up. 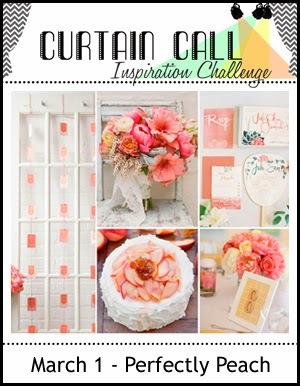 Thank you for playing along with us at the Curtain Call Color Challenges. 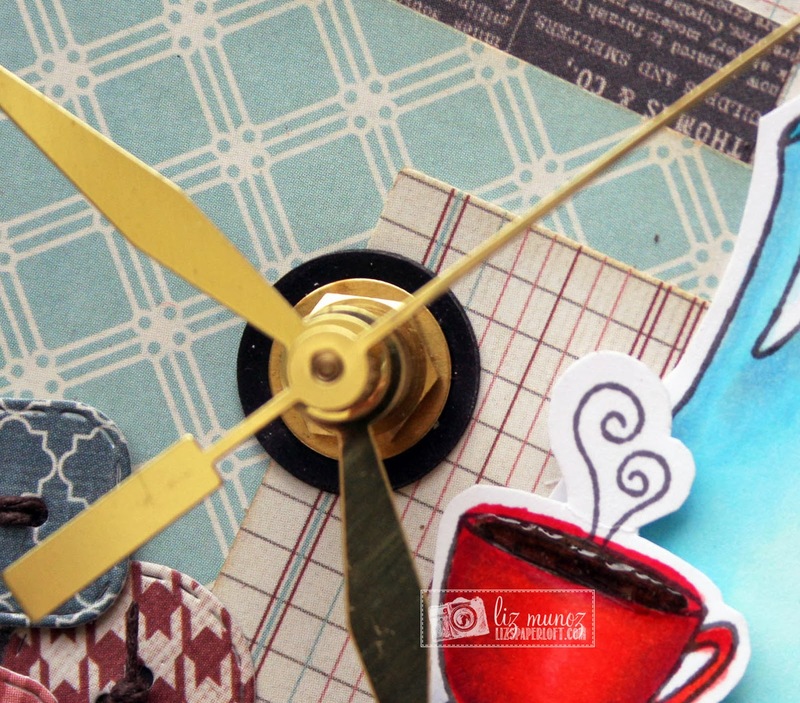 That clock rocks and your card is so absolutely adorable with those cute little faces!! Hugs! Love the card, those cute faces are so adorable. 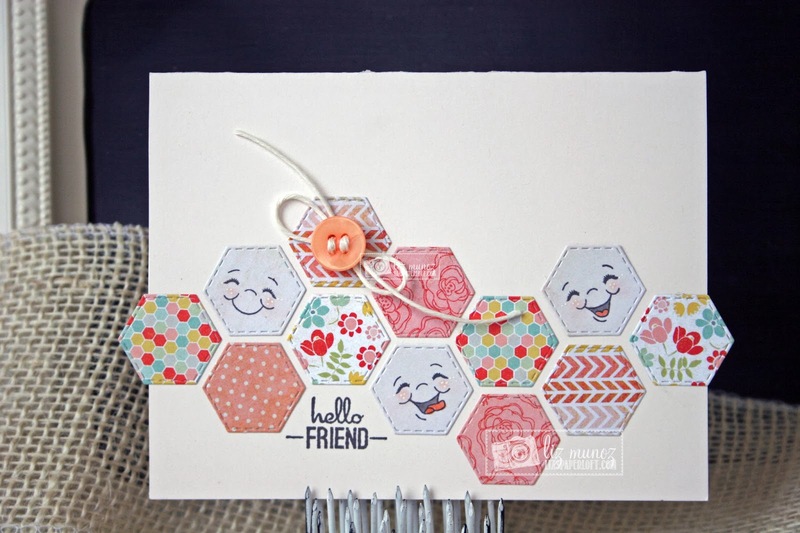 And I LOVE hexagons and they are placed perfectly on your card. Brilliant!! Saw your card at Curtain Call and wanted to comment. 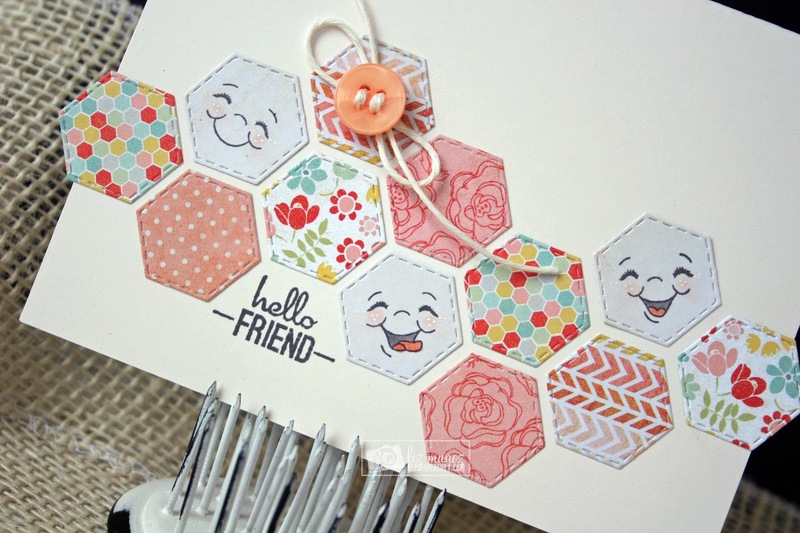 Love all the hexagons! The peach button is the perfect touch.